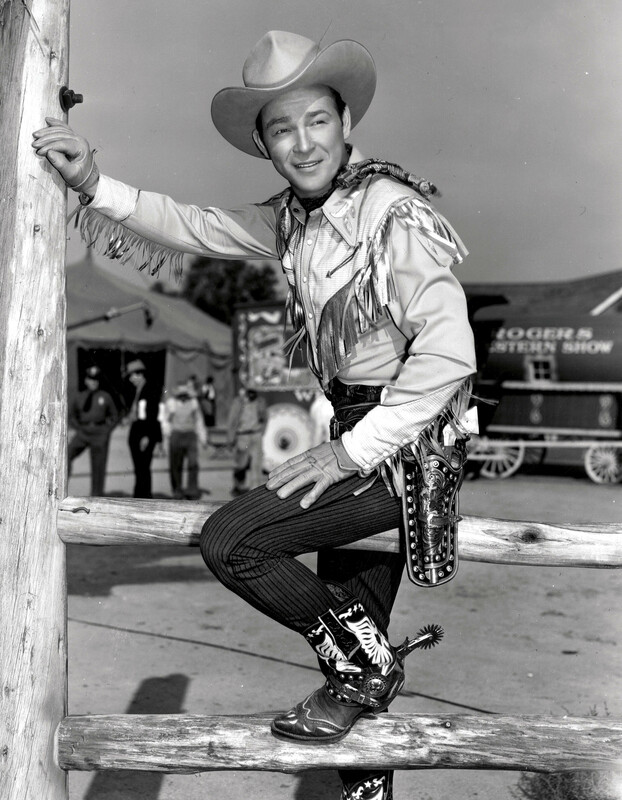 Roy Rogers, known as “The King of the Cowboys,” was the most popular Western star of his era. He was born as Leonard Franklin Slye on November 5, 1911 in Cincinnati, Ohio, and passed away on July 6, 1998. Roy came west with his family during the Great Depression and was working picking peaches in Southern California. He began singing on the radio with the Sons of the Pioneers, and then on the road where he met Arline Wilkins who won a contest baking Roy’s favorite lemon pie. They married and started a family. In child birth with “Dusty,” Roy’s only natural son, Arline passed away before coming home from the hospital. 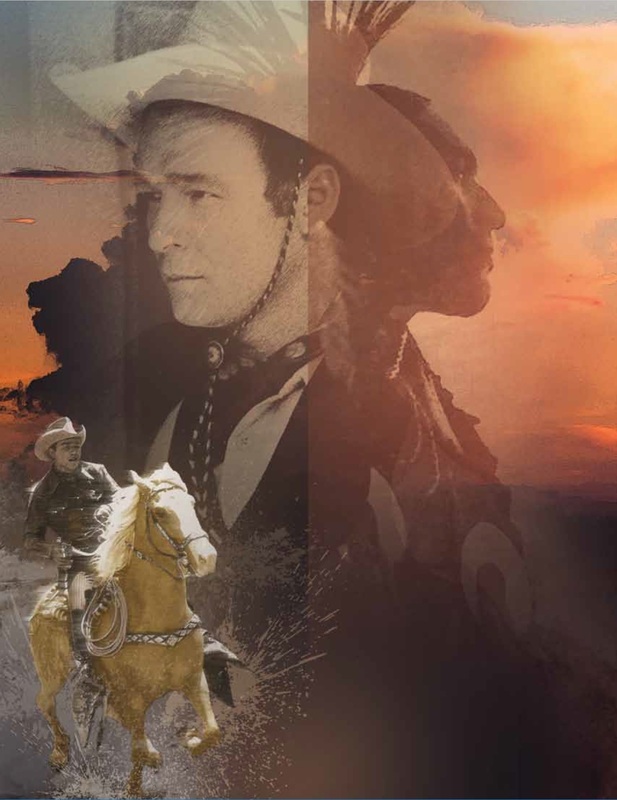 When he heard Republic Pictures was looking for a singing cowboy, he literally fell in the stage door and in 1937, signed his contract and the rest was history for The King of the Cowboys for 88 films. 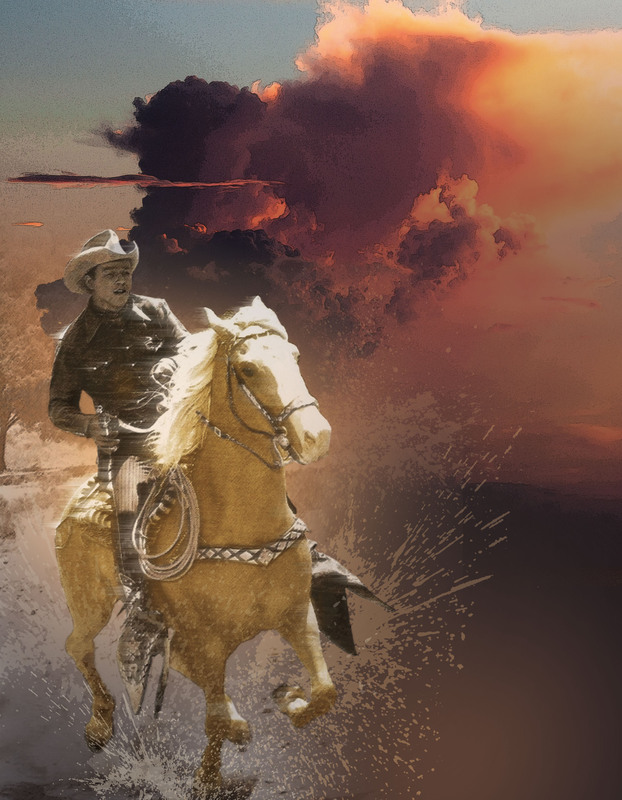 In 1944, Dale Evans, in her first picture with Roy, “The Cowboy and the Senorita” Roy rides up on Trigger, rescues Dale out of the river, dripping wet. They remained married for the rest of their lives, raised Dale’s son, Roy’s three and adopted several more of different ethnicities. Their only natural daughter together, Robin was born with Downs Syndrome and lived only a few short years. And despite the incredible public life Roy led, it was not without challenges. The loss of other of their children early in their lives caused Roy to lose faith but Dale, in her strength, guided Roy through the most difficult things they faced together. They are forever indelible in American cultural history, a shining example for families everywhere.